I told you yesterday that I would share the birthday card I made for my nephew. 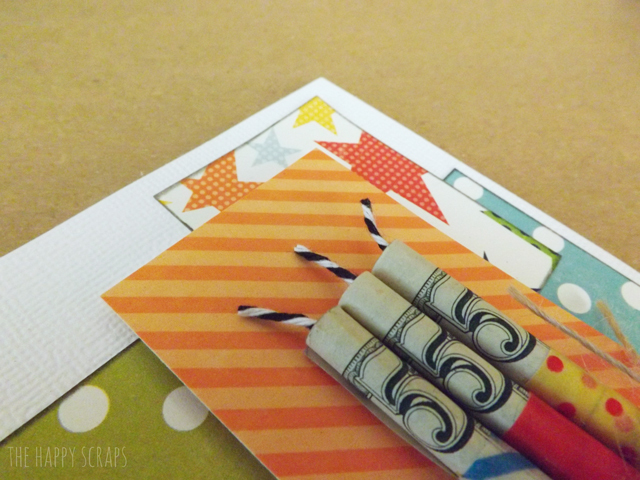 The idea came from this card that Debbie made, and I thought it would be fun to use money instead. What kid doesn’t like getting money for a birthday!? This was also my first time using washi tape. I recently picked some up and am having fun playing with it. I put a piece of twine in the center of the money. Then I rolled the money up as tight as I could, making sure I rolled all of them the same direction so the ‘5’ would show, and then used washi tape to secure them. I used some fun string to wrap around the candles, after I stuck them to some scotch tape. My nephew was SO excited to get this card. He had those candles off and unwrapped in no time flat. I love when the recipient loves the gift as much as you hope they will. I LOVE that card-so cute!!!! This is such a clever idea. I am impressed by how creative your design is. Great work! Hi Amy, I love this card and wonder if you would like to see it published in the beautiful blogs section of Papercraft Inspirations magazine, the UK’s biggest selling cardmaking mag. which is sold worldwide. very cute, makes mine looks so lame. haha. Its the perfect thing to send in the mail. Love it. 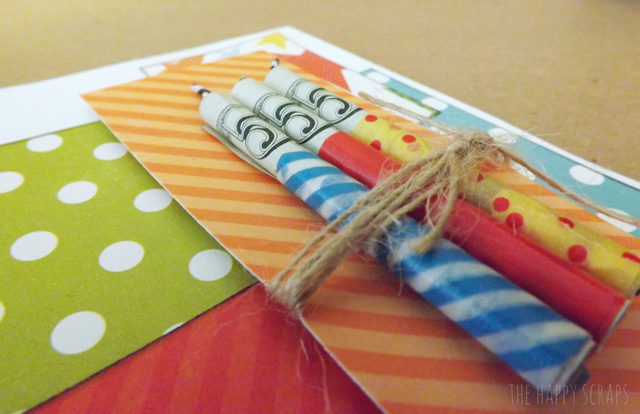 Ok, I’m convinced I must break down and buy my some washi tape. too cute! Amy this is so cute! 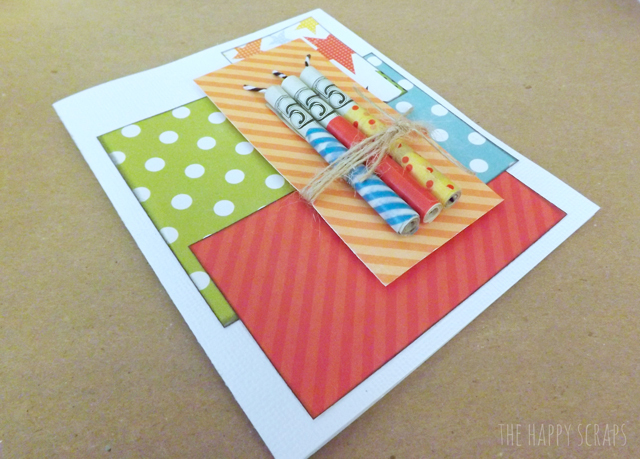 I just love it – I may have to make a card like this! WHAT A GREAT iDEA! I love it may have to borrow this idea for my sons birthday next year. Thanks so much for this card idea. Made it for my young 20s nephew and he loved it. 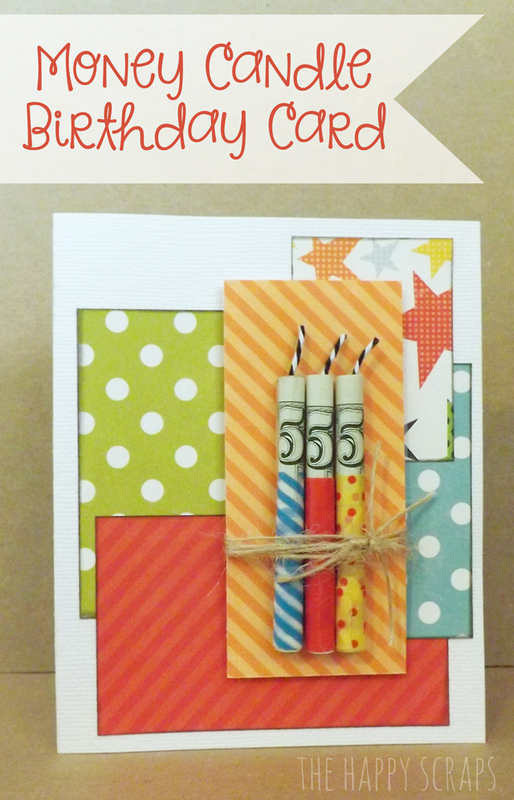 Made this card yesterday for my young 20s nephew and he loved it!!!! He knows I try to give thoughtful gifts and with his age, cash is best – so this was a great way to give it to him. Thanks!!! !